We started our journey in India as exporter of gemstones and gemstone beads for supplying in bulk to gold Jewellery factories, goldsmiths and designers and sooner expanded our horizons and developed gems and Jewellery production lines of our own. Currently, we are the top-ranking gemstone manufacturers and exporters and provide the best quality gemstones and crafted beads to the customers who require authentic material for making trusted Jewellery. Our manufacturing base is in India, where the top-notch lapidaries are working with the latest technology equipment’s for making flawless faceted beads, strings, cut stones. Our cuts are unique, stylish and beyond any doubt, just unquestionable when it comes to perfection and creativity. 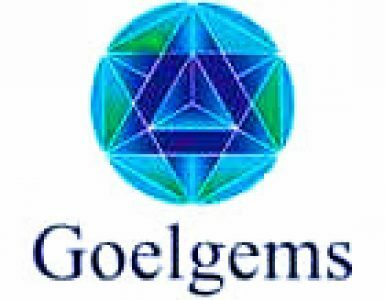 Goelgems, under the fine management policies of our founder Siddhartha Goell has seen tremendous growth in the last 18 years and emerged as the strongest supplier of precious and semi-precious stones and gemstones, crafted beads to major countries of Europe, USA and South America. Our gemstone collection is believed to be the finest and is International Coloured Gemstone Association (ICA) and GJEPC (Gems and Jewellery Export Promotion Council) approved. Thus, gemstones of finest quality apt for all sorts of Jewellery making needs delivered to our customers’ doorsteps is what we aim to achieve through our online gemstones mall www.goelgems.com. Through this platform, we are reaching to all the customers across the world offering the best quality precious and semi-precious stones – loose, pairs as well as parcels, and crafted gemstone beads – complementing the varying needs and requirement levels of individual and corporate buyers. We provide the perfect gemstones developed by experience and not by chance to the quality- savvy customers present all over the globe. I am a passionate qualified Astrologer, Gemologist and a Vaastu consultant having experience of more than 15 years in this field. I travels to far distant places to procure the rare and distinguished varieties of gemstones. Besides dealing in all the colored gemstones, I have a fine taste in occult sciences like Numerology, Palmistry, Astrology etc. Being a qualified Astrologer (Jyotish Acharaya, degree) I been giving professional horoscope readings to my clients since 2008. 10:00 A.M. to 07:00 P.M.